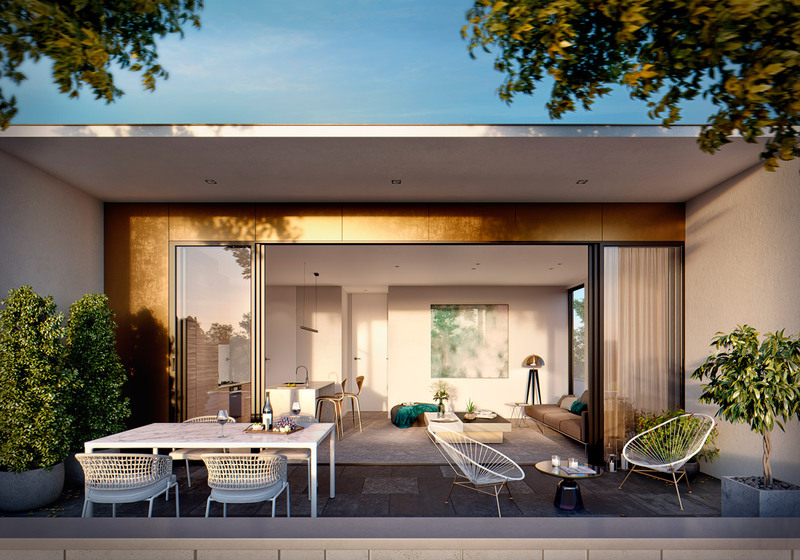 McKinnon Living delivers a life of effortless luxury with peerless surrounds in Melbourne’s glorious south-eastern suburbs. 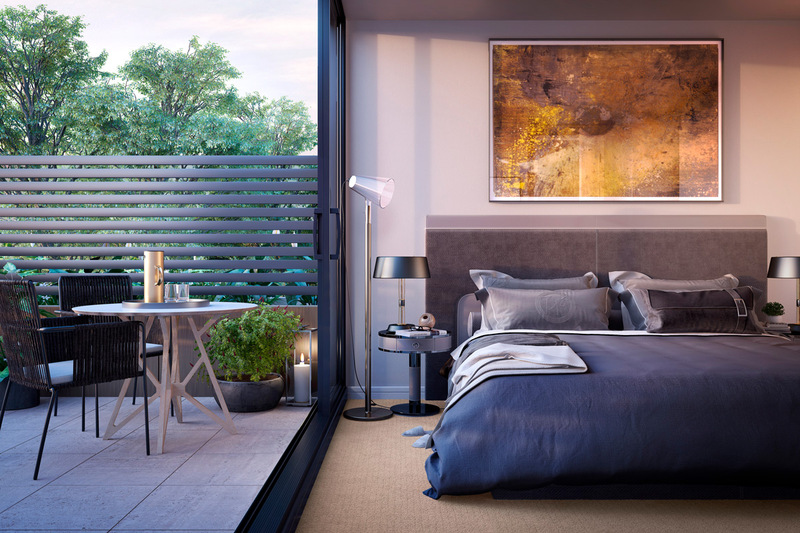 Set in McKinnon, the newest residential masterpiece from Central Living is a collection of 21 carefully crafted residences that represents an uncompromised commitment to sophisticated design, elegant finishes and a refined overall aesthetic. Designed by architects Planar-Arc, the quality and care that flows through each of McKinnon Living’s apartments and indeed the impressive facade is immediately apparent. 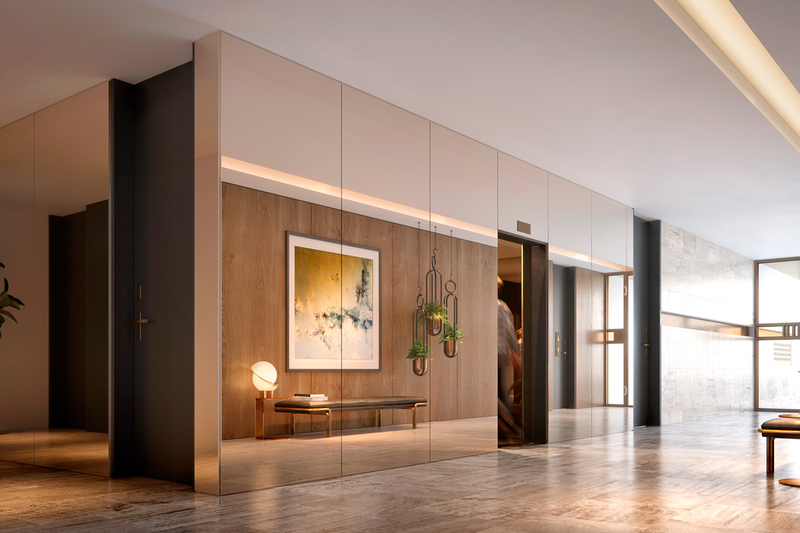 Step inside the building and a stunning designer lobby will welcome you home, with natural stone and bronze finishes as well as light features and designer furniture foreshadowing the luxury styling of the apartment interiors. The two bedroom apartments are generously proportioned, ranging in size from 84-94 sqm, and thanks to light-welcoming floor-to-ceiling windows, they seem even larger. Illuminated, the apartment’s quality craftsmanship and the inclusion of only the finest natural materials such as timber floorboards and stone benchtops becomes clear, lending the space an immediate sense of homeliness. The sum of all these details is an open-plan living space that is ideal for comfortable nights in alone or with the family, or for big nights of entertaining friends. A cosy colour scheme that lives within modern design but nods to vintage charm is a backdrop for you to customise the space to suit your personal needs and living habits. The kitchen is decked out to impress those who take cooking seriously with top-of-the-range Miele appliances and an island for extra food preparation space. The island has been ergonomically designed to include seating space as well as a designer wine rack, an example of the innovative interior design that efficiently maximises space in these homes. Unlike the open-plan living space, which is designed to be seen, the bedroom is your private place, designed to be enjoyed by you alone – a space of tranquil retreat from the busy world beyond. In summer months, slide open your bedroom door and step out onto your private courtyard or balcony in your pyjamas and soak up the sunshine with a cup of coffee and a book in your pyjamas. In the bathroom, the same delicate composition of modern design with vintage detailing found in the living room is key to the overall look. 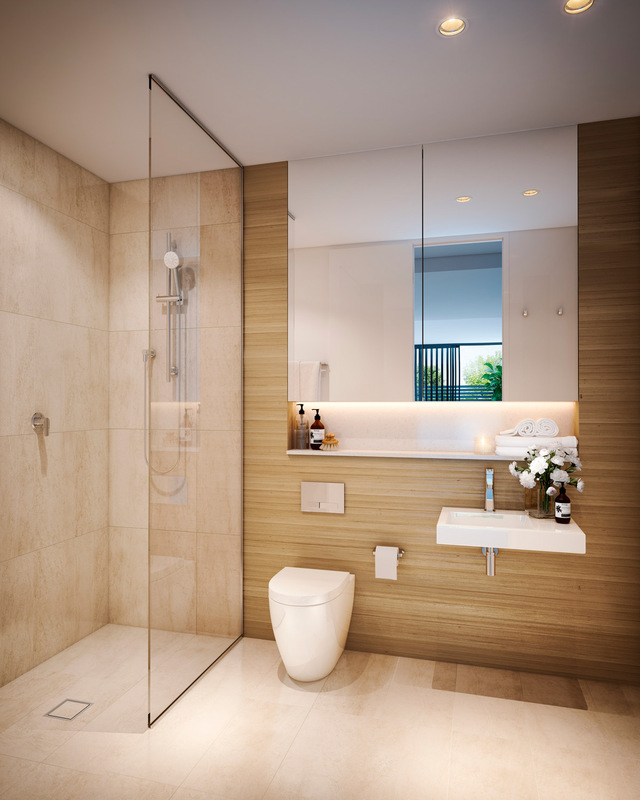 Details like the floor-to-ceiling frameless shower screen may seem like basic elements but they are instrumental in creating a fluid morning and evening routine. 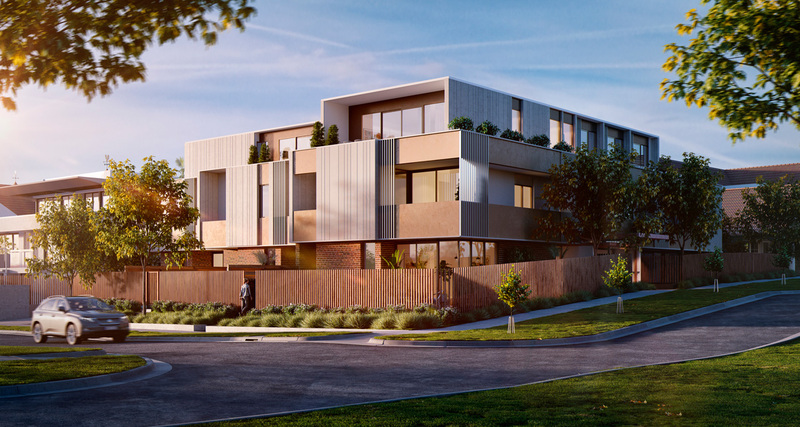 Being located within the coveted McKinnon Secondary College zone is a highly sought-after benefit for families looking to relocate to the south east – and McKinnon Living is just minutes from the school’s gates. Even closer is the recently upgraded McKinnon Station, providing easy access to Melbourne CBD by train within 24 minutes, while the McKinnon Road shopping strip is also in your immediate sphere. For more information or to enquire about McKinnon Living, click here.